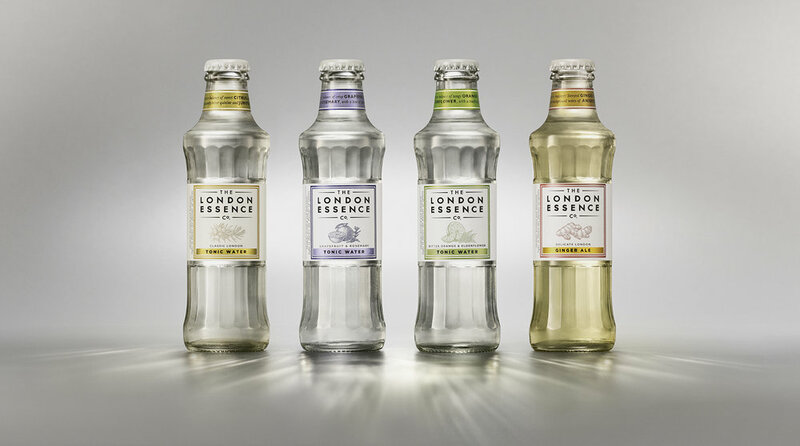 The London Essence Company is the premium mixers brand that launched with a trade influencer approach. Having gained success with listings in top London bars, the business objective moved to rolling out to consumers through mainstream retailers. To develop a messaging and creative strategy for the launch in mainstream supermarkets that rapidly gains market share in the UK. We knew that the brand needed to take an approach which considered the whole shopper journey. Our strategy started with creating awareness outside of the store, through the path to purchase in-store. Every point had to be mapped to the shopper mindset to result in provoking a purchase decision at fixture. With a price position +20% over the established premium brand we knew we would need to work hard with the messaging and creative to justify shoppers making the switch. We established the positioning line ‘Truly Exceptional’ to directly combat the language of ‘best’ used by the established premium leader. From this point we developed a full messaging framework which considered every part of the shopper journey - from out of store adverts, to in-store display in and out of the mixers aisle to build layers of knowledge and credibility for each of the products and for the brand itself. The creative approach was to build a premium look and feel which could be flexed across the shopper journey and maintained even when working within the strict constraints of supermarket guidelines. An important part of the brand equity, the faceted glass bottle, was hidden by the secondary packaging in retail, so we took the approach of creating some striking hero photography to bring to life this premium point of difference for the shopper. The initial retail trial was so successful that it led to gaining listings in three major supermarkets and a nationwide distribution footprint within 6 months.